The sunny state of Florida is a wonderful option when looking for camp and retreat venues. The sheer size of the state enables it to host a variety of outdoor activities and adventures in nature. Florida’s mild winters make it a great spot to explore natural wonders during the colder months, while its balmy summers are perfect for water sports and beach activities. Florida is bordered on almost all sides by gorgeous beaches and sparkling water. Known as the theme park capital of the world, there is an unlimited amount of things to do and sights to see in Florida. Wycliffe Discovery Center– This interactive Bible experience is a must-see for all ages. The Wycliffe Discovery Center offers tours and educational programs for young children, youth and college students. Planetarium at Pensacola Christian College– Take a tour through the heavens from a Christian stand-point at this state-of-the-art interstellar arena. The Holy Land Experience– This one-of-kind park offers tours, exhibits and live shows that bring the Bible vividly to life. St. Augustine– The oldest city in the United States, St. Augustine is home to numerous historic sites. There are forts, museums and beautiful centuries-old churches to explore in this lovely city on the Atlantic Ocean. Florida offers an overwhelming array of things to do and see and makes a great place for a youth camp or adult retreat. 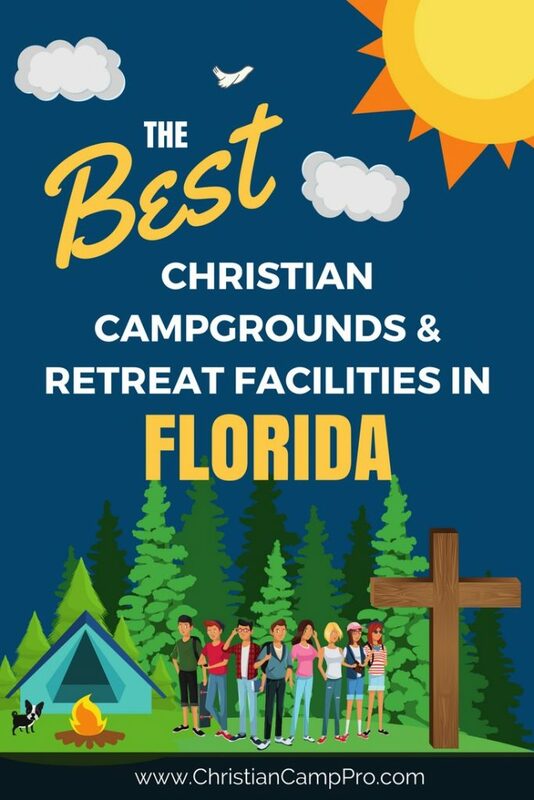 With miles of gorgeous golden beaches, wild swamplands that are teeming with life, and plenty of parks and historic attractions to explore, Florida is a perfect spot for any church, retreat or youth group.